Drop — Can I use photos I found online in my recipe? 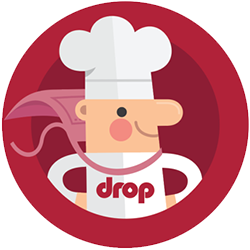 The good news is that right before you submit a recipe, you can use the Drop Recipes app to follow it in your own kitchen, taking as many photos as possible of the recipe in action. If you notice anything about the recipe that needs tweaking, write it down! Once you have your photos and notes, go back to Drop Creator, make your edits, and add your photos. You can then submit the recipe for review by hitting Submit on the Publish page. How do I connect my Bosch Wall Oven to Drop?